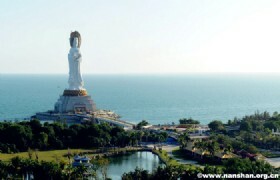 Note: You will visit the famous scenic spots in Hainan and also experience buddhism culture here. Our guide will tell you the legend about a young Li nationality hunter chasing a deer. 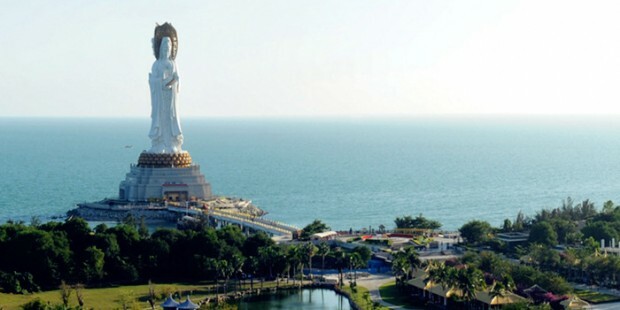 You will visit the famous scenic spots in Hainan and also experience buddhism culture here. Our guide will tell you the legend about a young Li nationality hunter chasing a deer. 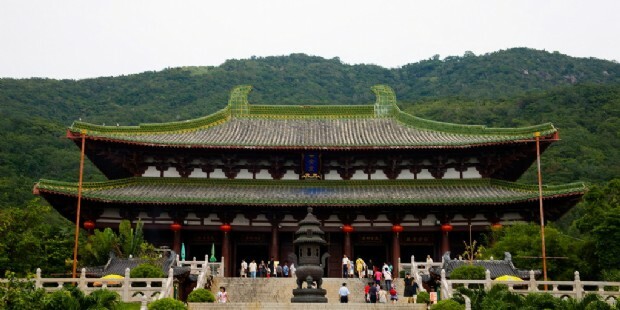 Nanshan Temple, the most southern temple in China, rated as 5A sighting seeing spot. 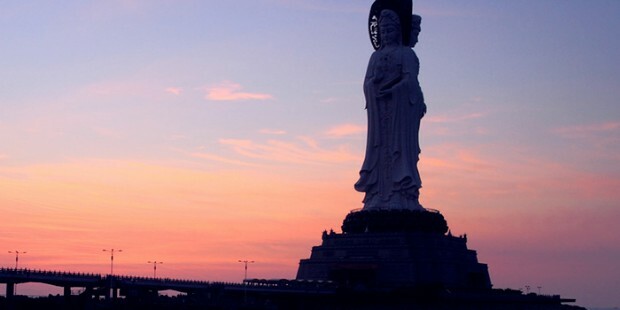 You will be seeing the Guinness wonder, 108 meter sea-based Kwangyin statue—recorded as the highest one in the world. 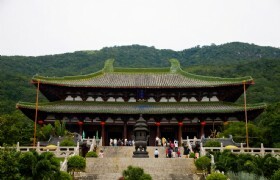 In the afternoon you can enjoy the Buddist vegetarian lunch at the temple. 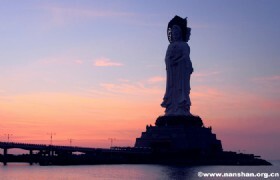 Later, you will proceed to Luhuitou Park, located at Sanya Bay, 5 kilometers south of the downtown area, this scenic spot gets its name from a legend about a Li youth and a beautiful deer. 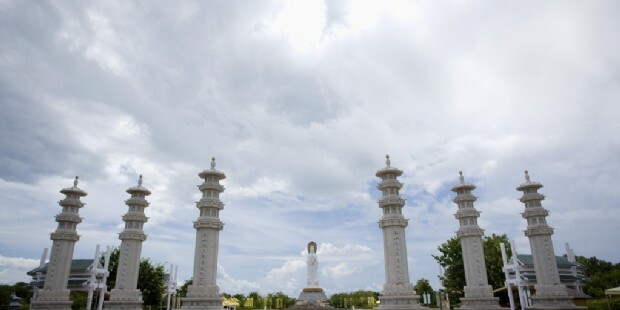 The place is surrounded by sea in three directions. 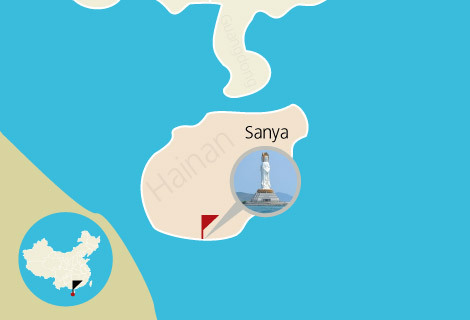 With mountains green all year round, it is a good place for enjoying charming landscape of Sanya. You will be transferred back to your hotel once the tour ends. Transfers: Transfers between hotels and scenic spots while sightseeing, by air conditioned vehicle with a driver and English-speaking guide (as listed above).